Guy Daleiden, born in 1963, graduated in History and German linguistics and literature at the University of Freiburg i.Br. (Germany). He started his professional career as a civil servant in 1990, when he joined the Prime Minister’s office as Government Attaché. He has been the managing director of Film Fund Luxembourg since 1999, where he is in charge of promoting the audiovisual production policy of the Luxembourg government. The Film Fund, an official body supervised by the minister responsible for the audiovisual sector and the minister responsible for culture, implements the government’s audiovisual production support policy. It manages the programme and mechanisms through which the Luxembourg government provides financial support to audiovisual works, advises policymakers on film policy issues, and assists ministers in the drafting of regulations and legislation and in developing international co-production agreements. The Fund co-operates closely with industry representatives to promote the development of Luxembourg’s audiovisual sector. Film Fund Luxembourg represents Luxembourg in all European and international audiovisual initiatives like Eurimages, the pan-European co-production fund, and Creative Europe MEDIA, the support program of the European Commission, in order to provide the conditions in which the country’s audiovisual sector can thrive and reap the benefits of international collaborations and partnerships. Guy Daleiden is Vice-President of the EFAD (European Film Agency Directors Association). 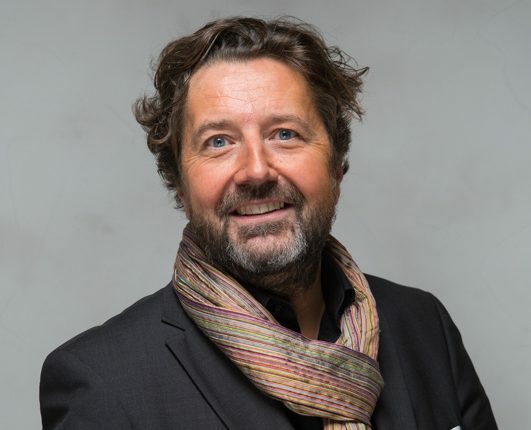 He is administrator of the Luxembourg Film Academy and of EAVE (European Audiovisual Entrepreneurs), as well as member of the board of directors of Luxembourg City Film Festival.